Universal shotgun forend wrench designed to get to recessed nut inside forend. Heavy duty all metal tool designed for years of use. Great addition to any gunsmith or tinkerer's tool box. 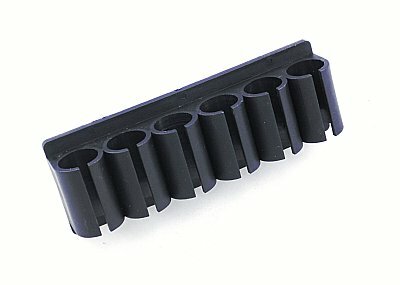 12GA Shotshell Holder Durable elastomeric polymer 5-shell carrier mounts securely with screws on either side of any full length wood or polymer stock. 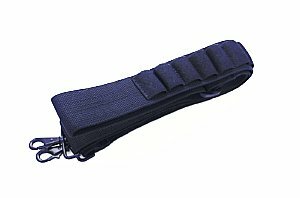 Quick and easy access to extra 12 GA rounds for fast loading. Unconditional Lifetime Warranty. 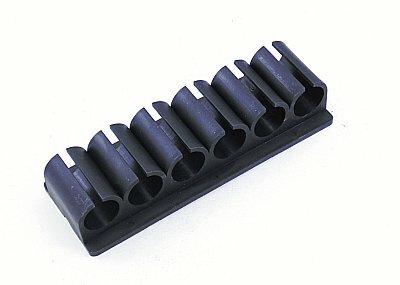 Fits any full length wood or polymer stock. 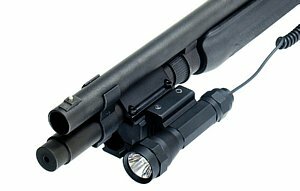 12GA Shotgun Flashlight Mount fits Pistol Grip Unique accessory places your flashlight within easy reach without interference. 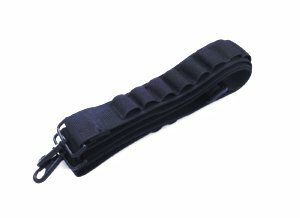 Attaches easily to any of Advanced Technology, Inc's shotgun grips (front or rear) by drilling one small hole and securing with one screw (included). Accepts 1" diameter flashlight and includes an adapter for small AA flashlights. 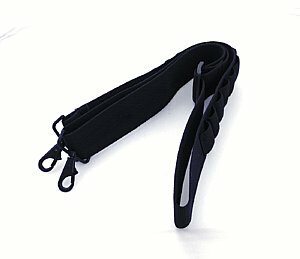 Injection molded from indestructible, black, glass-filled nylon. No gunsmithing required. Here we go again with another new release! 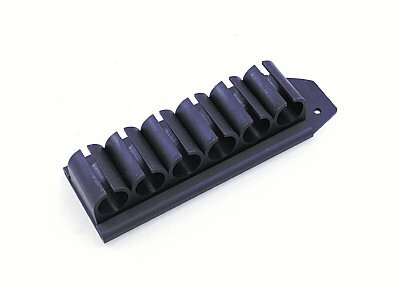 Metal 8 shot mag extension for the Remington 870 12ga shotgun. 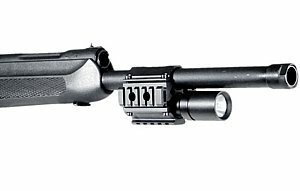 Allows an additional 3 2 3.4" shells for all rifles with a minimum barrel length of 20". 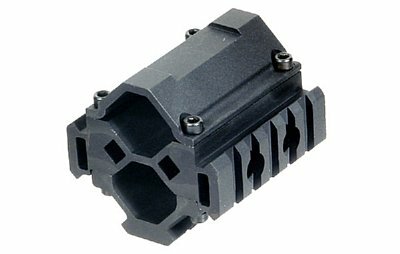 Constructed of military type III hard anodized 6061 T6 Aluminum. Ratchet base for tight fit. MADE in the USA! 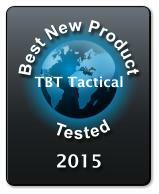 Tech note: use with our STK-TACCLAMP or STK-TACCLAMP2 clamp for added strength! Clamp on barrel tri rail mount works great on shotguns and heavy barreled rifles. Unit has 3 slots on each rail and is all metal construction. Mount gives you a great platform to mount lights, laser's, grips, bipods and most rail mounted accessories. You need to mount accessories on your favorite shotgun or heavy barrel rifle. But how to do it! This all metal tri rail barrel mount does the job. 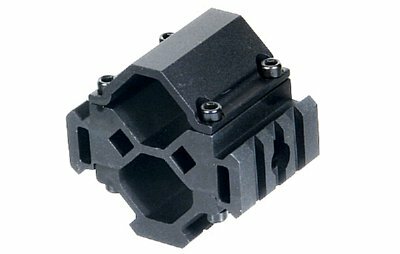 Easily mounts around your barrel and gives you three 5 slot rails to mount accessories such as lights, laser's, grips, bipods and more. 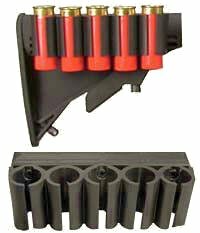 EXPANDABLE AMMO CARRIER: .410, .223, AND UP Fits 6-position Shotforce stocks which are pre-drilled to accept carrier on either left or right hand side. 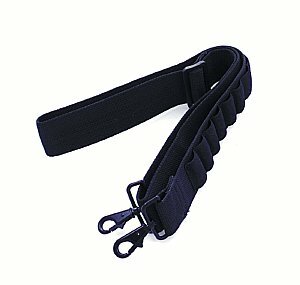 Sturdy elastic mounts to glass filled nylon bracket for a secure hold. 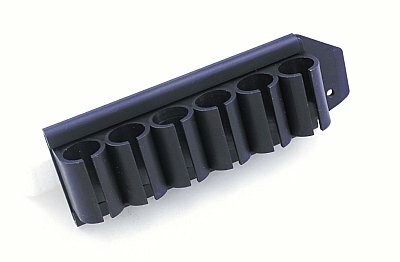 Comes in 410, .223 and up centerfire rifle cartridge carrier that holds 10 rounds. Includes required hardware. Five Additional 12ga. shotshells, designed fro right or left handed shooters, specially engineered for the SHOTFORCE CAR-15 Buttstock!